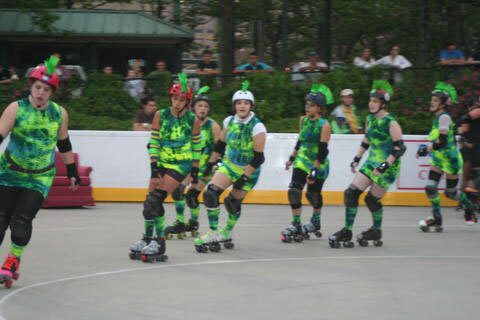 I'm sending some pics of our roller derby team at our recent bout in your uniforms. However, we will also be taking team photos shortly, and those are usually professional grade. For now, I'm sending along a couple I do have for you to see and also to let you know we have forgotten about you. We will send our team photo in our uniforms (most of which was purchased through welovecolors) once it is available. 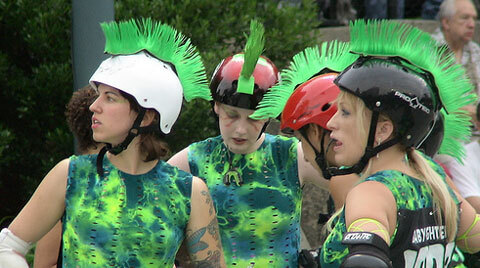 Send Us photos of your roller derby's crew in We Love Colors gear.